Marketing has become a powerful tool to promote a product or a service. Marketing includes various activities to effectively reach the target audience. In order to keep track of the marketing activities and ensure that nothing is missed out, one needs a checklist of marketing activities. Having a comprehensive checklist of all the marketing activities that need to be covered will help you to figure out what needs attention and what has already been done. 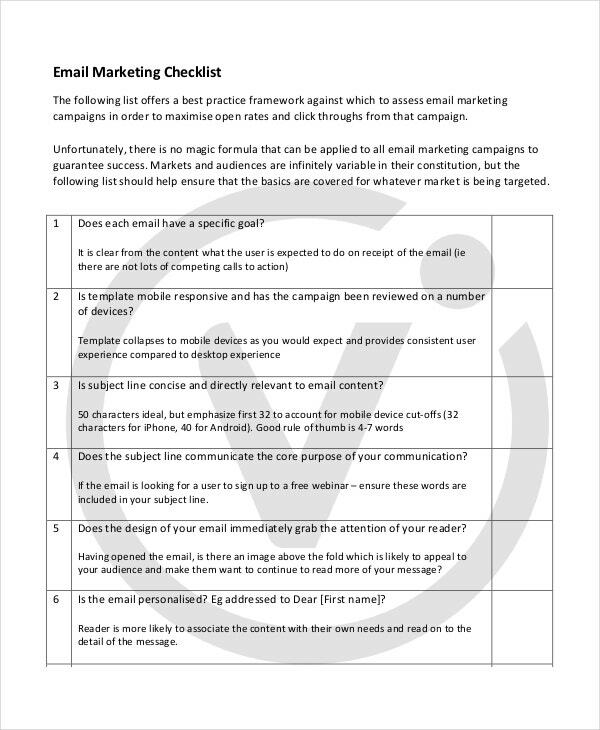 The marketing checklist templates prove to be handy and useful while creating a checklist of marketing activities. You can also see Checklist Templates. 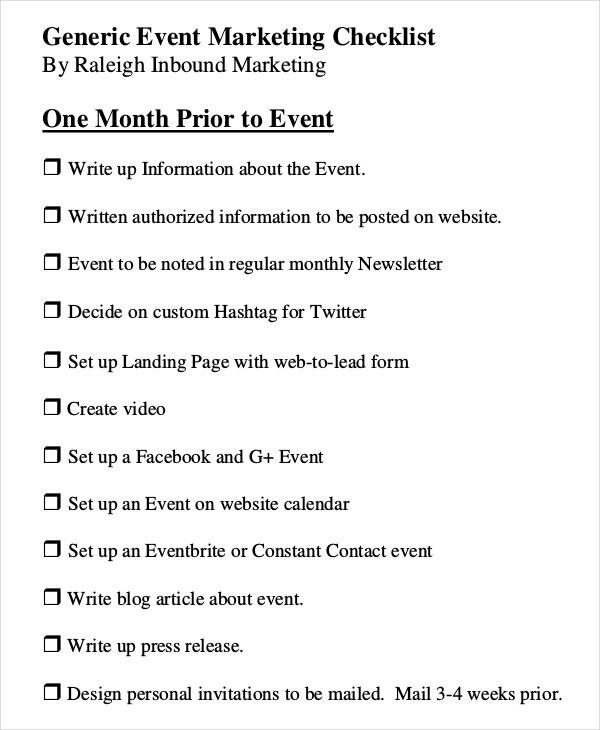 This event checklist template is all you need to keep track of the marketing activities. The template covers every aspect of event planning and marketing and can be edited according to your needs. 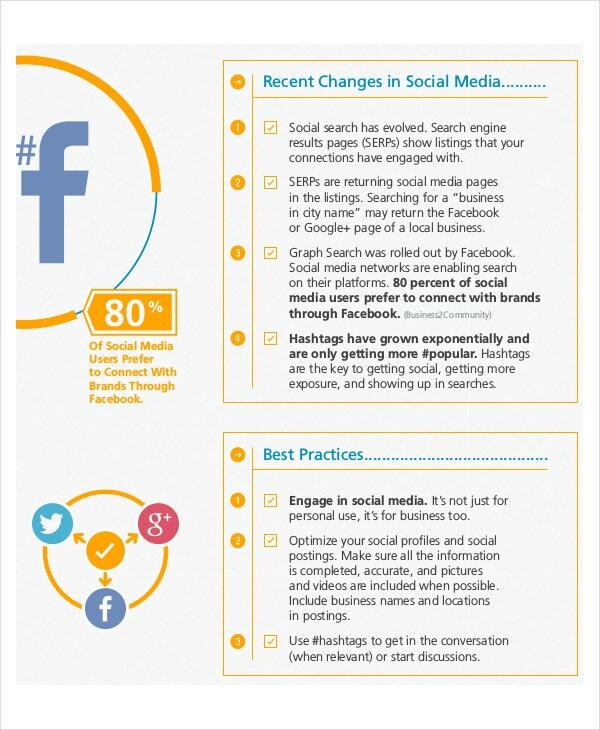 As the name suggests, this checklist has been designed exclusively for conducting marketing activities using social media platforms. The template uses vibrant colours and illustrations. 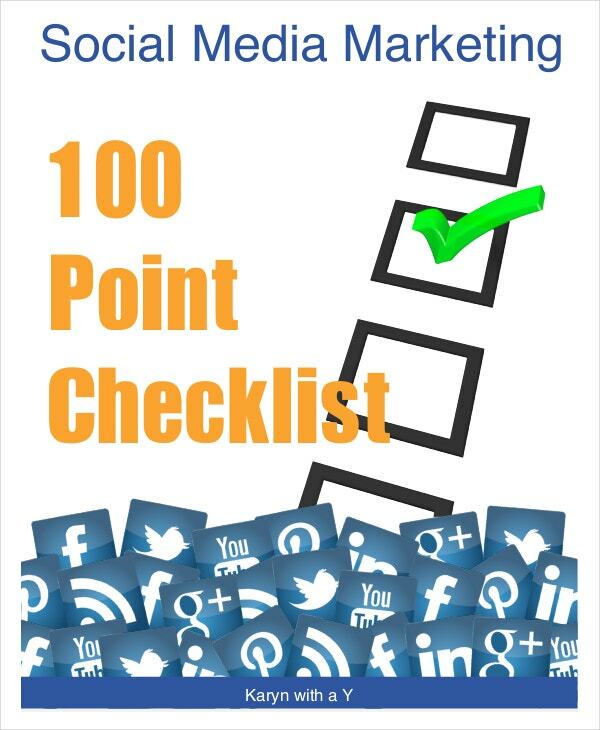 It covers 100 points on how the marketing activities are to be handled on popular social media platforms like Twitter, Facebook, and Google+. Available in PDF format, this template uses images and decent font and format to cover all the aspects of media planning in detail. The template has an exhaustive checklist of the marketing plan and its effectiveness in reaching the target audience. This template is available in PDF format and uses vibrant colours and illustration to ensure a well-structured and detailed checklist. The template covers tips on designing an impactful social marketing strategy for creating a buzz about your product or service on social media platforms. 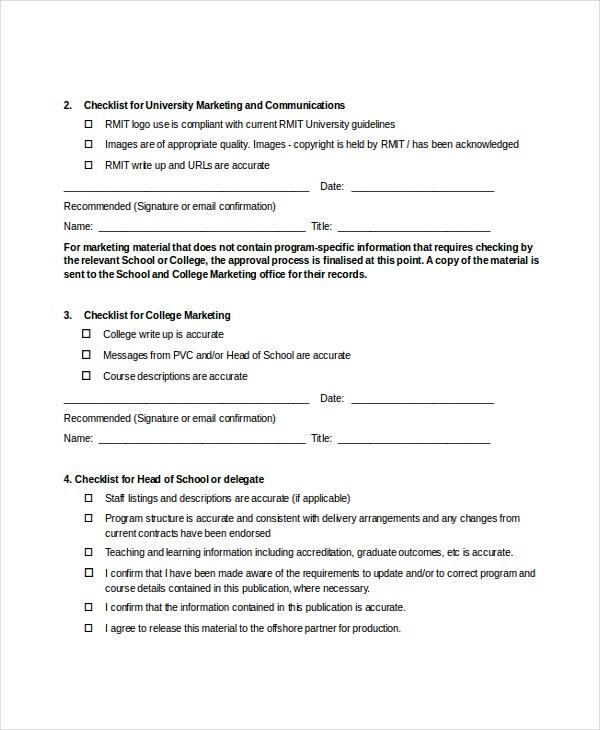 This editable checklist template is simple but covers all the necessary checkpoints for a marketing audit. The template saves time and effort involved in designing. The checklist can be edited according to your preferences. 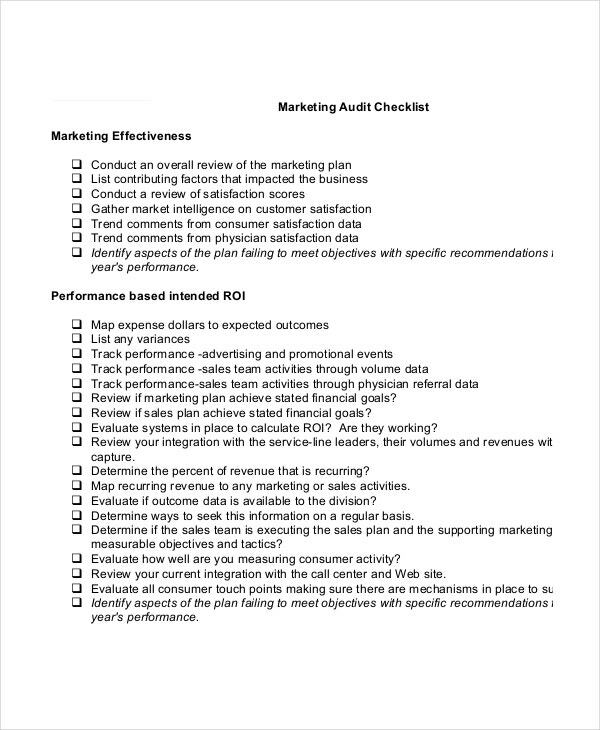 > How does the Checklist help in Business-to-Business Marketing? Business-to-business marketing or B2B marketing, involves promotion of products or services to another businesses or organizations. The B2B marketing involves promotion of products or services that are of no use to the general public. These products might include heavy machinery, some technical software, office supplies and things like that. B2B marketing checklist sums up all the marketing activities needed to help any company to promote its product to another business. 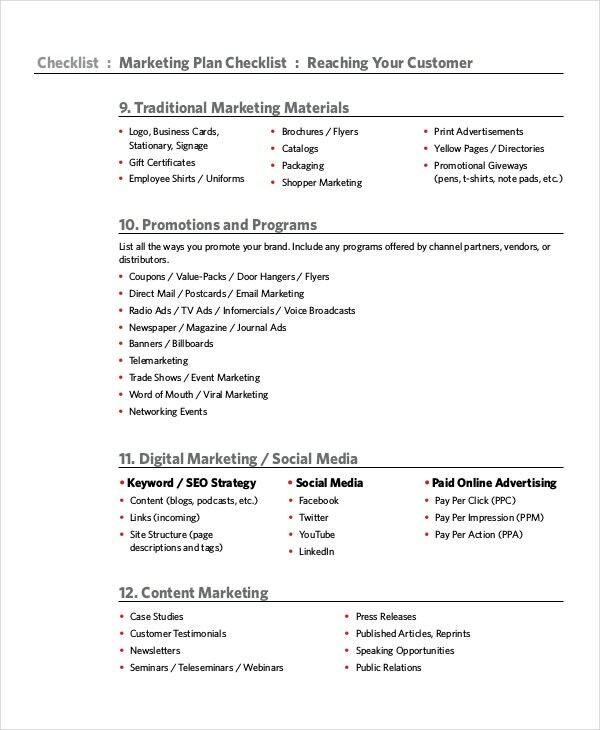 The checklist underlines the important aspects of marketing strategies and ensures that nothing is left while strategizing a marketing plan. 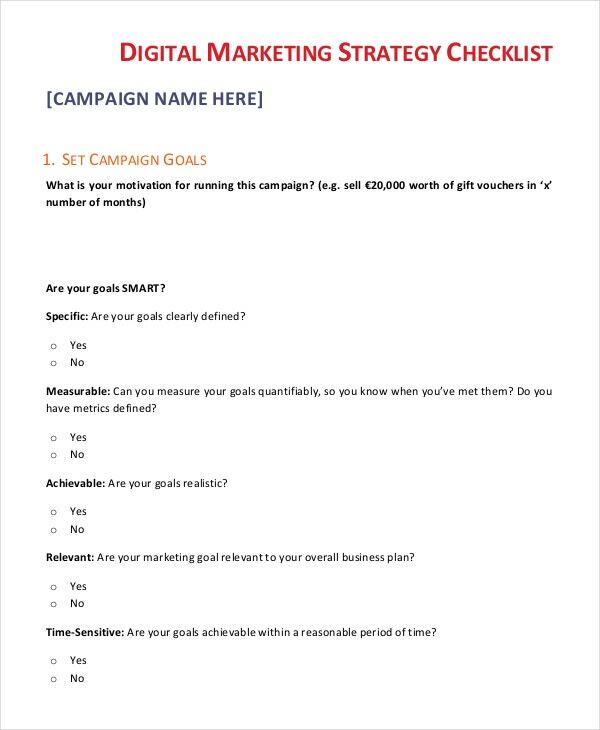 Marketing checklist templates save your time and effort needed in designing a comprehensive checklist of promotional tactics. > What is a Good Marketing Checklist for Realising a Mobile App? Mobile apps are gaining popularity due to their ease of use and spontaneous nature. A mobile app that is well promoted will attract more users and will save itself from getting lost in the crowd of other existing apps. 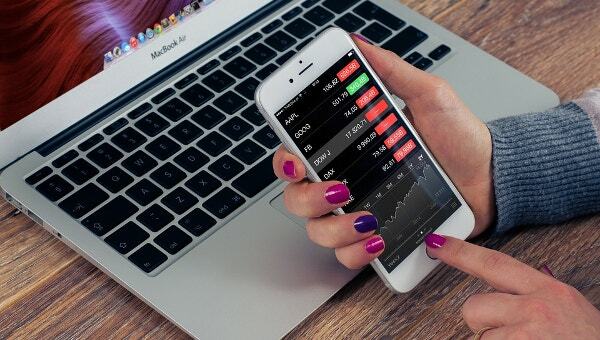 A good marketing checklist for realising a mobile app will include some crucial activities that will ensure successful reaching of the app to the prospective users. Knowledge about publishing policies and processes. Creating a buzz about the app on social media networks by creating accounts or pages for the app that is to be released. > What should be the Checklist for a Start-up Before going to Market? Be it a small business or a start-up, there must be a list of marketing activities that need attention before the product, service or business hits the market, to ensure fruitful results. To make sure that the marketing efforts go in the right direction, designing a checklist to keep track of all marketing activities is the best. 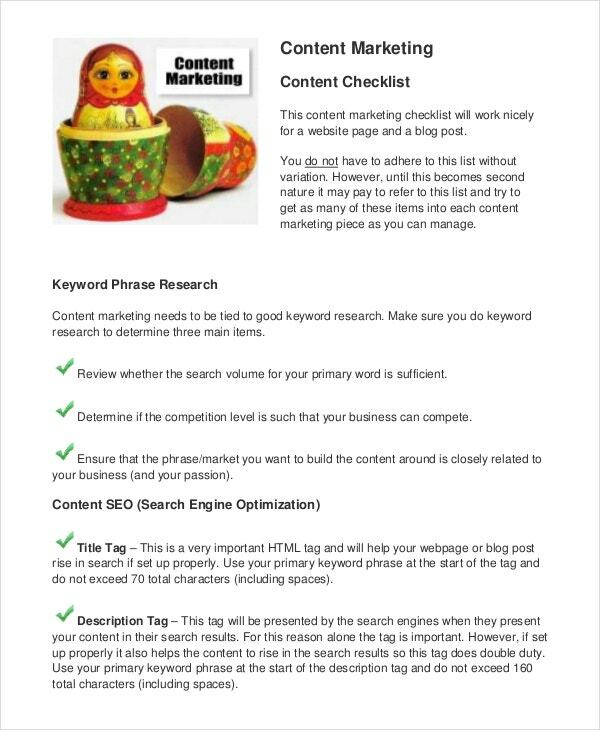 Marketing checklist templates are easily available online, these templates are editable and include crucial points that must be taken care of for any start-up. You can also see Travel Checklist Template. 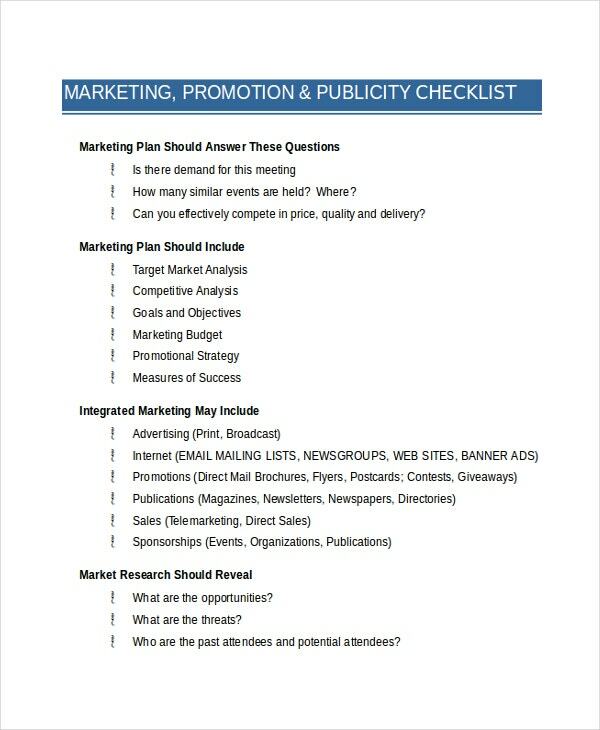 Marketing checklist template proves to be useful and handy when you need to keep track of the numerous marketing activities to promote a product or service. These editable checklist templates can easily be downloaded for free online. These templates comprise all the necessary details of the marketing strategy and various activities that must be covered when promoting a product online or otherwise.